Ty for the detailed response. I know in the past I tried to futz with the focus pot but never got it sharper than the factory setting. I guess I'd describe the issue as color bleed? 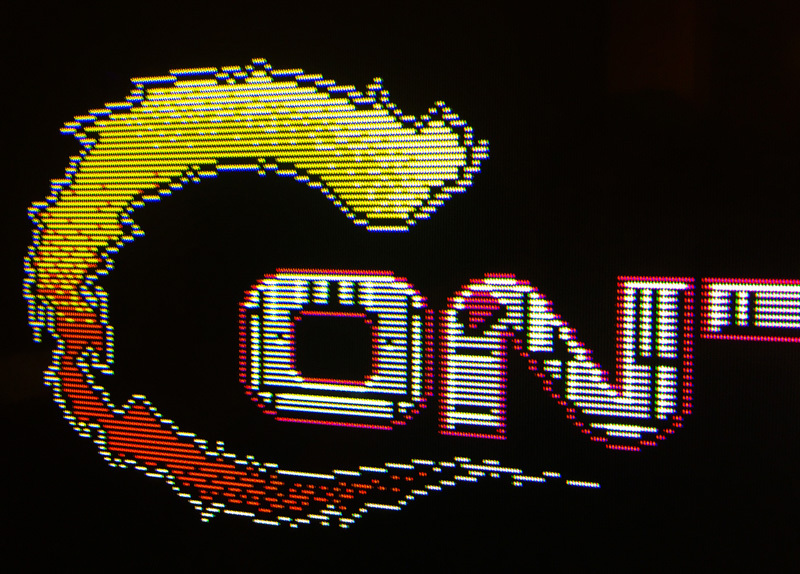 I don't think it's a misalignment cause iirc it's not blue-left red-right or anything, just that the edge of pixel (like the OSD from the vcr, white text on blue background) doesn't have a sharp cutoff. It's got a rounded appearance. I'll investigate it some more over RGB as it could just be poor Y/C filtering. it could just be poor Y/C filtering. That's where my confusion comes in though. The same signal psyched through to my JVC doesn't have the same issue. I suppose I could try to add my 14L5 and 150cg to the mix to see if there's any consistency. Yeah supposedly the pro JVC sets have better-than-the-competition S-video decoding, which would make troubleshooting more confusing and harder for us to pinpoint the problem here I guess your suggestion of trying on other Sony sets is a good one! 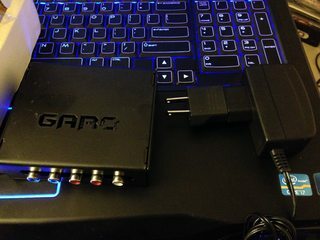 got this new garo black box, i'm going to try it with a few pvms tonight. 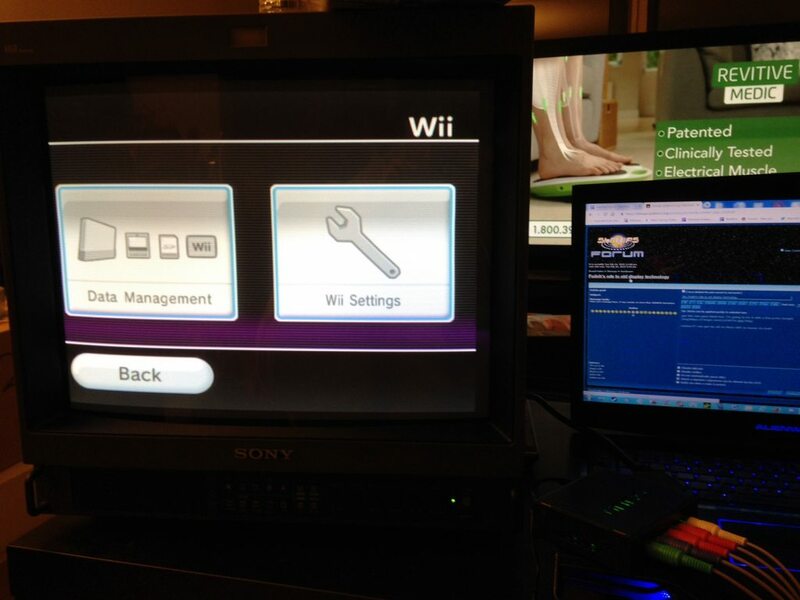 curious if i can get my wii on there with no issues via scart. I just picked up an EDTV Plasma, TH-42PWD7. I had to drive out to Huntington Beach, but it was worth it. It works great with Groovymame with the 31khz drivers and scanlines or a scanline generator. Since it's 480p, all the line doubled 240p stuff looks fantastic and all the 480p stuff looks nice and crisp. 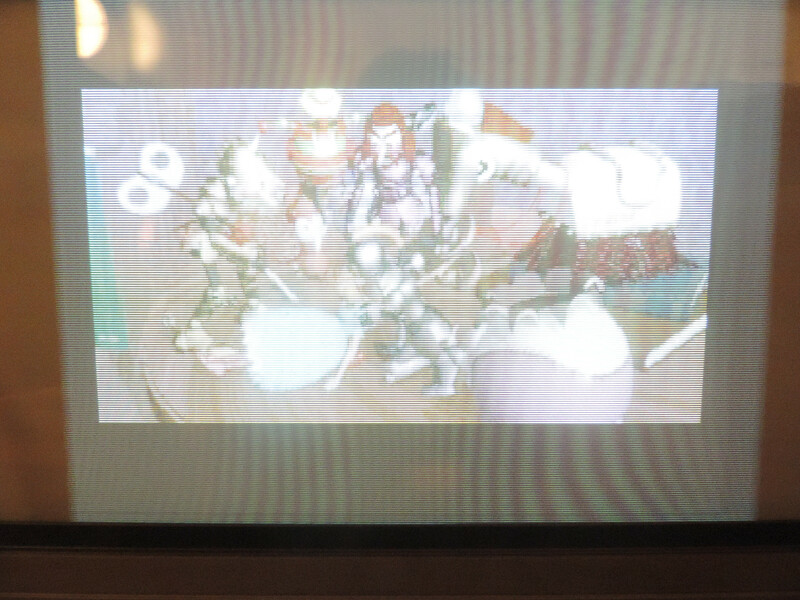 It also downscales 720p, which creates a softer picture, but is still very colorful and looks great. I've had the 37" version for a few years, but have been unable to find a back up unit, so I figured I'd grab this one and use the 37" as a back up. Or maybe just use the 37" in permanent TATE mode. It's hard to get good pictures with my phone, I need to invest in a camera. 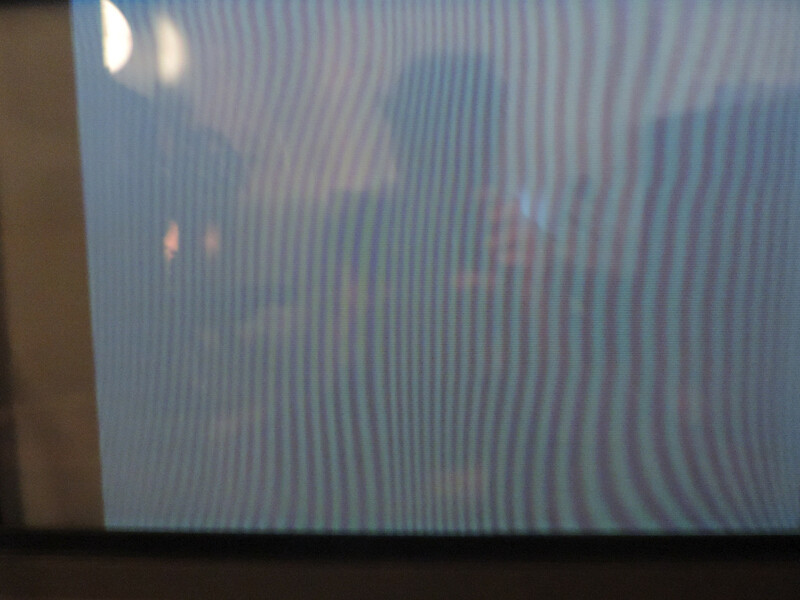 I got an old NEC GBM-70 (29" multisync) that doesn't show a picture anymore (turns on though). Last time I used it it worked when it was running warm. Should I ask money for this or try to give it away for free? Normally the second option would be the clear answer, but considering how sought after these monitors were for a while I don't want to give away free money when it might just need a good servicing. Never heard of the NEC GBM-70 and I can't seem to find any info on it either, are you sure that is the model number? 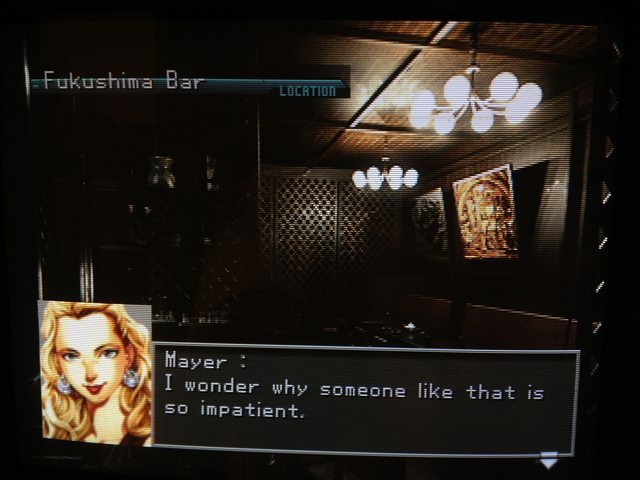 I doubt that you will get a lot for it as buying a broken CRT monitor is quite a gamble. 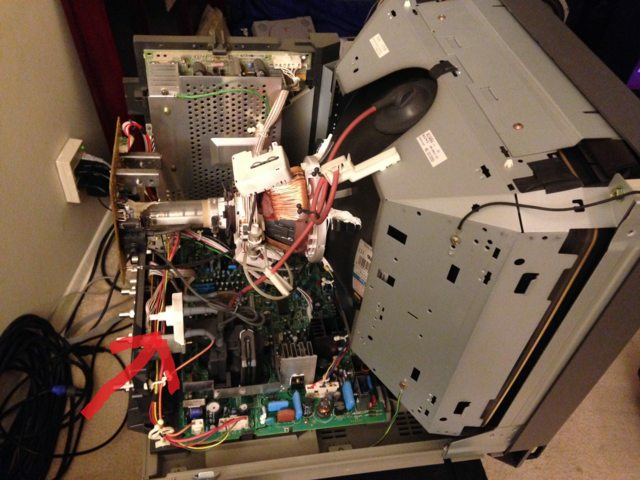 Even if someone has the skills to repair the monitor it could still end up being a loss if the required parts are not available anymore, then on the other hand it could end up being an easy fix. Like I said quite a gamble. I've taken a gamble before on a CRT and luckily it paid off but one of the parts were very difficult to find, I was lucky to find it at all. Even so I only originally paid a fraction of what the monitor would have been worth in working condition as I knew that there was a good chance that it could have been a loss. I have a question about color temperature adjustment on a BVM 14F5u. I went into the menu and adjusted my settings to make things a little more blue in the gain. But when I hit enter it pops me back to the previous menu and switches back. When I go back into the color temp manual adjustment menu it switches to what I put in but it never stays outside of that menu. Any advice would be much appreciated. Thanks! Dochartaigh, how's this tv treating you? i've been meaning to ask you but been binge playing on the 20m4u after fixing my convergence. It's been really good. 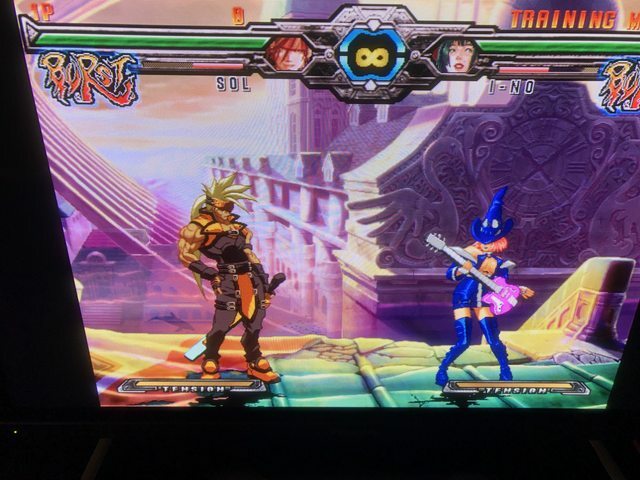 Got the remote so I could properly center/scale 240p, 480p, 480p widescreen, and 720p as well. Needs a cap or two replaced to have perfect geometry but it's pretty decent as-is. 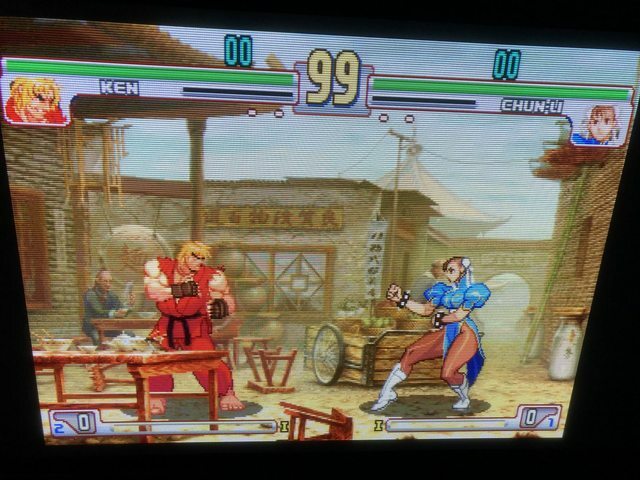 The biggest detriment I'm having so far is the lack of widescreen content to actually play on it, since this is my first widescreen pro-CRT. 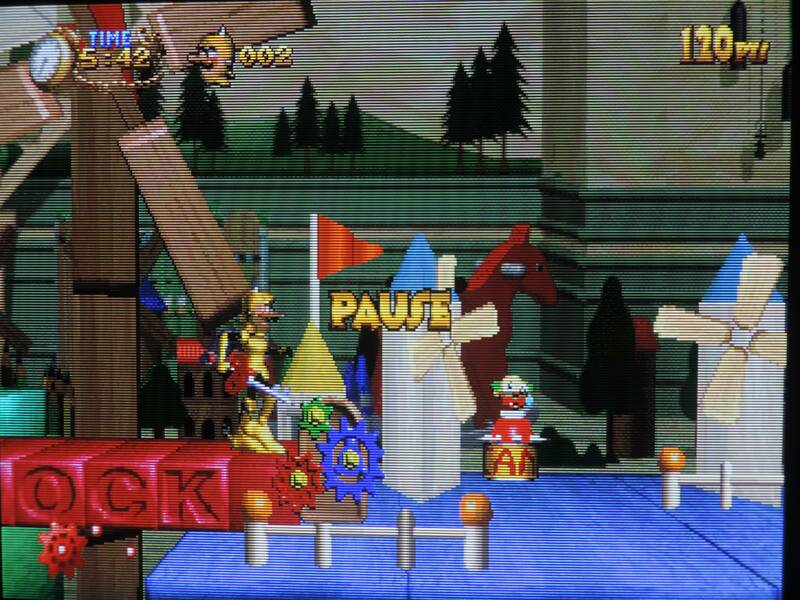 Even after hex editing my OG Xbox files for widescreen, there was still quite a few which only play in 4:3. I haven't looked into Dreamcast yet, but I think that has a lot of non-widescreen games as well. PS2's 480p collection of games is pretty slim pickings to begin with, so I haven't seen if any of those rare 480p titles have a widescreen mode either. 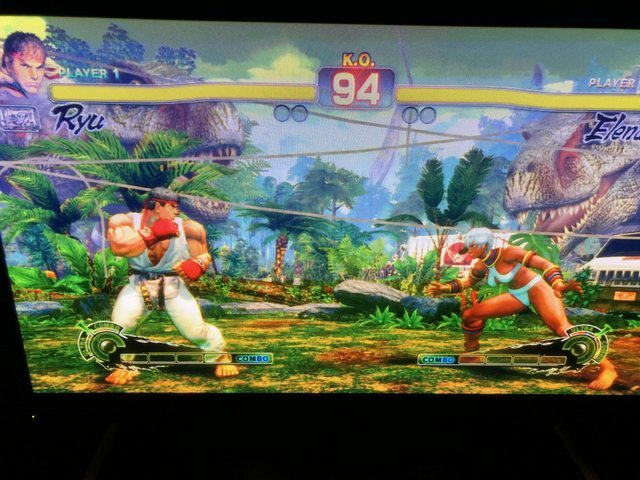 720p 16:9 off my Xbox 360 over VGA is nice I will say. I still need to try Wii, and GameCube games played on the Wii some more. 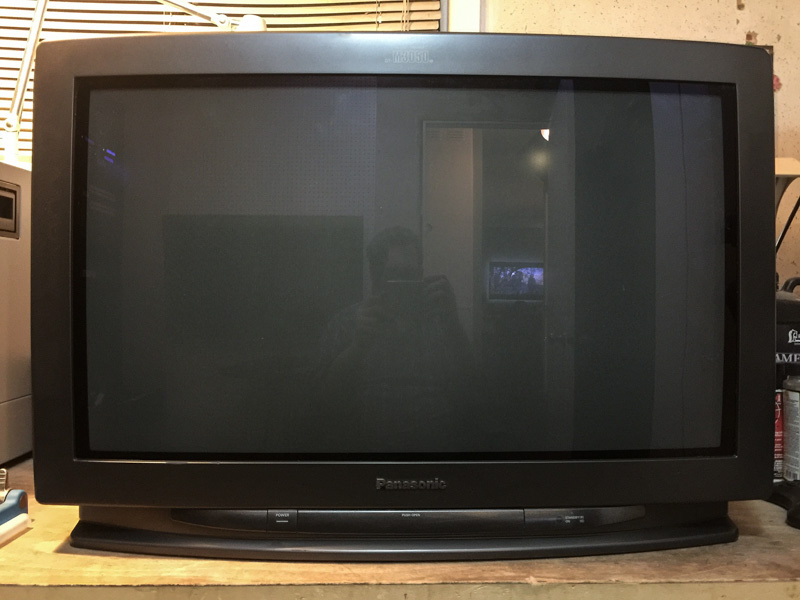 That Panasonic is really a chimera CRT - a 30" widescreen professional multisync monitor embedded into a consumer TV frame. One of a kind indeed. F-Zero GX will look great on that beast! I am also amazed by Dochartaigh's collection Just the PVM-3230 has me jealous. Guessing he is living in a spot where there's lots of broadcast equipment companies (either NY / New Jersey or LA) and has actively been hunting for many years, going at least as far back as 2010. Tons of ex-broadcast equipment floating around Northern NJ. Quite a few of the refurb/resellers are on ebay and craigslist. Yeah, the consumer-esque case I don't really care for, but I've been used to PVM and BVM's with lots of buttons on them so I'm a bit biased. Still can't beat a widescreen professional CRT with the same viewable area as a BVM-D32. 600 TV Lines, while nowhere near the sharpness of a BVM, is still a nice sweet spot between being able to do even 480i well (with a bit less flicker than sharper sets), and it still looks good for the HD stuff too. How do you guys even remember what other sets I have lol? For where and when I found these, I live in the Philly/NYC area, and I actually only started doing this about 2 years ago. Had a great first year and found a ton. Last ~year it's been pretty beat and not for lack of looking; like 40% of them have been broke lately and I overpaid for them. This Panasonic I found was the only bright point. For my collection, I have two 20" multiformat's - a 20L5 and D20. Two SD 20" - 20M4 and 20F1U. The large PVM-3230, and this widescreen Panasonic DT-M3050W. I figure at least one of those will last me until I die. Hey all - quick question for you. I have a 25XBR, it's an awesome set in good condition. I've noticed a few times lately though when the screen goes very bright (ie. full white or very close), it will get a pinkish tint to it. It doesn't happen all the time, like for instance I pulled up 240p Test Suite with the white screen and it looked fine. Any clues as to whats causing this? Could the tube just be getting weak, something with power, or perhaps bad caps? Thanks! oh man! so jelly =) i would so play ninja gaiden black and wii xenoblade on that. Amazing monitor, Dochartaigh. Can you message me those 16:9 edited XBox game patches? It seems like if it happens, it will stay like that for as long as brightness persists, but if it goes darker then whites go back to normal white. Like between stages on Lightening force there is a white flash, I see it then but once the action starts everything looks fine. The reverse also seems to be true - if I pull up a white test screen and its ok, it will stay that way for as long as I have the patience to leave it. So it seems like it doesn't like the change from dark to bright more than anything. 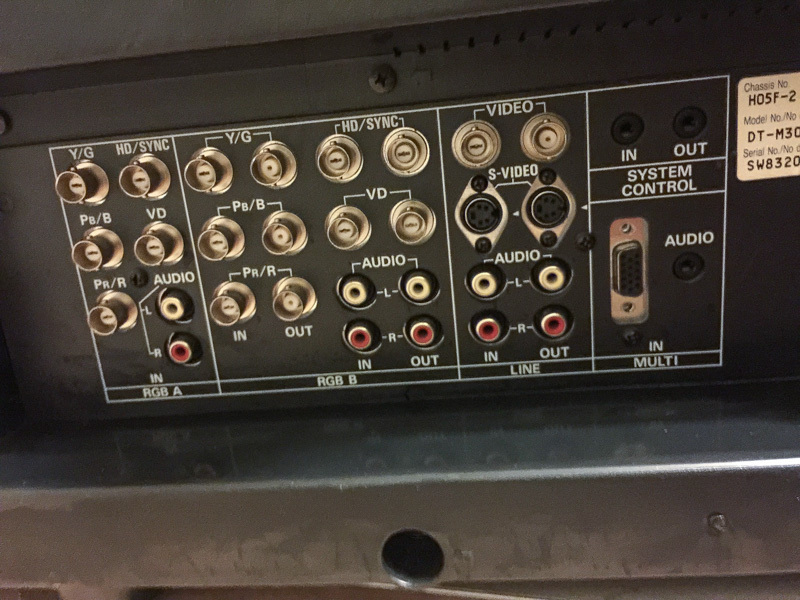 I am looking for a plasma TV to display 576i and 1080i content. Would they be a good choice for interlaced content? Wasn’t sure what old CRT thread to bump but this seemed like a good one. I’ve had a 20” Sony PVM for a little while and it’s great, playing a lot of games and systems I’ve haven't touched for a decade or more. I’ve been doing everything SCART and then S-video for VHS/DVD stuff not in HD yet. I’m looking for a bigger monitor but still the best image quality and sharpness. I was looking at 29”-32” Sony PVMs and also some bigger 37” NEC monitors but have heard they aren’t as clear. Anyone with experience with some of the bigger monitors have some advice? Everything I’m playing is mostly 4:3 and NES through PSX/DC. Depends on which PVM you've been using. If you've been using a 20L5 for example then there's really no way to get a bigger monitor that will have the same or more sharpness (unless you win the lottery with a D32). But if it's one of the older PVMs with a less TV lines then one of the bigger PVMs may be as sharp. If you're used to the sharpness of aperture grille then a larger NEC monitor with its shadow mask may not be right for you. It’s a 20M2U and yeah I was reading up on it and the shadow mask stood out to me.